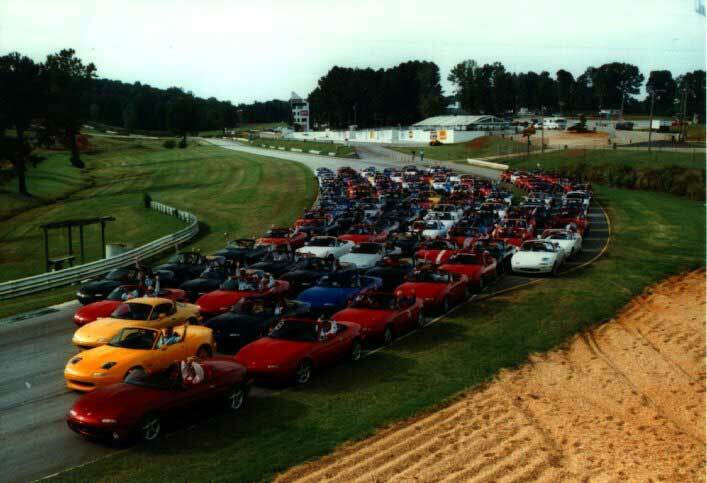 Miata Games was held in 1996 at Road Atlanta by the Peachtree Miata Club just after the Summer Olympic Games. This was our third national event. Click here to see more about Miata Games. Mia-Mo is the black on the front row of the picture below!